BizMojo Idaho: Fin Fun officers named Idaho Small Business Persons of the year. Fin Fun officers named Idaho Small Business Persons of the year. Fin Fun, an Idaho Falls company founded in 2010, sells swimmable mermaid tails in more than 180 countries. The U.S. Small Business Administration has named Eric Browning, CEO, and Steve Browning, chief financial officer, of Fin Fun its 2017 Idaho Small Business Persons of the Year. 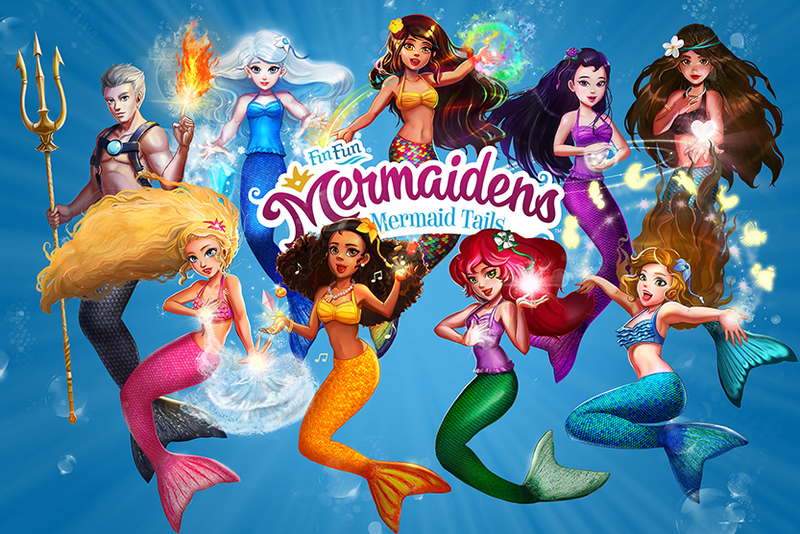 The company markets swimmable mermaid tails and other products in more than 180 countries. Fin Fun started as a home project in 2009, when Karen Browning of St. Anthony got a puzzling request from her granddaughter Emily, to make her a mermaid tail. "Having sewn for over 50 years, I laughed and said, 'I don't know how to make mermaid tails,'" she told BizMojo Idaho in 2014. "Well, she soon showed me that by ingenuity and working together, we could do it." Using spandex swimsuit material and rigid material for the fin, Browning applied her sewing skills to the project. "It proved so popular as she and her sister Sarah swam in them that soon her friends were asking where they could get their very own tail," Browning said. She knew she was onto something. She began selling them on eBay and set up a store on Etsy. As demand took off, Browning’s sons Eric and Steve, came back to eastern Idaho to run the company. Sales have increased from an average of 200 mermaid tails per month in 2011 to more than 500,000 mermaid tails sold in 2016. In addition to tails, the line includes a patented monofin, swimwear, animal blankets and other accessories. Fin Fun also has used the Internet imaginatively, offering finfriends.com, a page with "Mermaiden Tales," games, videos, contests and giveaways. In 2015, the company moved to a 10,000-square-foot building on Lewisville Highway, acquired with an SBA CDC/504 loan. Eric and Steve Browning have made a point of giving back to children’s causes, and Fin Fun has given a percentage of its profits to more than 18 charitable organizations annually for the past five years. Small Business Person of the Year winners from 50 states, the District of Columbia, Puerto Rico, and Guam will converge in Washington, D.C. in May, when one of them will be selected as the National Small Business Person of the Year during the SBA celebration of National Small Business Week April 30-May 6, 2017. A celebration honoring the SBA Idaho Small Business Persons of the Year will be May 5 in Idaho Falls, as part of National Small Business Week, which is held every May to recognize small business owners who demonstrate staying power. Winners must have been in business three years and shown growth in net worth and business expansion, increase in jobs and sales, innovativeness of products or services, response to adversity, and contributions to community-oriented projects. I am really appreciating very much by seeing your interesting posts. How the Daily Expenses Tracker Template Can Help You Manage Your Budget? A new franchise possibility for Idaho Falls?